India is all set to accomplish yet another feat by launching second Moon mission - Chandrayaan 2 – in 2018, Indian Space Research Organisation (ISRO) chairman AS Kiran Kumar said. The Chandrayaan 2 is likely to be launched in the first quarter of 2018. India is all set to achieve yet another feat by launching second Moon mission - Chandrayaan 2 – in 2018, Indian Space Research Organisation (ISRO) chairman AS Kiran Kumar has said. The Chandrayaan 2 is likely to be launched in the first quarter of 2018, he said. The ISRO chief announced the development while speaking at the seventh annual convocation of Vels University on Wednesday. He also said that the tests for India’s second moon mission are underway to ensure a controlled landing of Chandrayaan 2 on the surface of the Moon. "ISRO will develop an engine that will help in the controlled landing on the moon. The mission is currently planned for the first quarter of 2018," he said. An artificial crater has been developed by the scientists to simulate the surface of the lunar conditions for the landing experiments, said Kumar. The team is readying the satellite, he said, adding, a series of ground tests are being conducted at the ISRO facility in Mahendragiri, Tirunelveli district, and in Challakere, in Chitradurga district near Bengaluru. "The satellite is also getting ready," he added. On the Venus mission, he said that talks were still on and the project had not been finalised yet. Chandrayaan 2 consists of an Orbiter, Lander and Rover configuration. It is an advanced version of the Chandrayaan-1 mission. According to ISRO, the Chandrayaan 2 will be launched in form of a composite stack into the Earth Parking Orbit (EPO) of 170 X 18,500 km. The GSLV-Mk II will carry the Chandrayaan 2. The Orbiter with scientific payloads will hover in the orbit around the Moon, while the Lander will make a soft landing on the surface of the Earth’s natural satellite and deploy the Rover. He said that Chandarayaan-2 "will have controlled descent onto the surface of the moon, for which we have to develop an engine that is throttleable". The Chandarayaan-1 had only orbited the moon, while the second mission, the ISRO chief says would have a 6ft-long rover which will conduct in situ soil analysis after the soft-landing on the moon's surface. The Indian space agency had scripted history on February 15, 2017 by launching a record number of 104 satellites in a single mission. 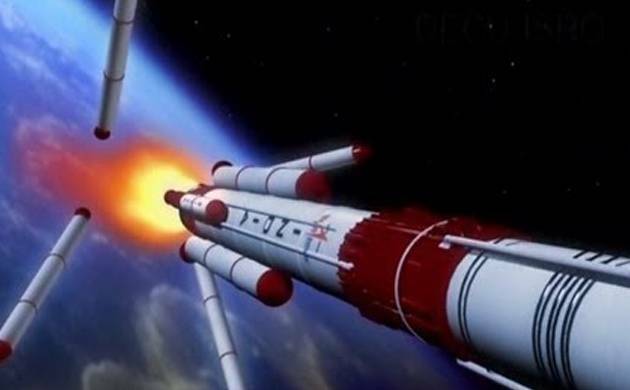 Scientists at the Satish Dhawan Space Centre at Sriharikota are currently preparing the launch of a Saarc satellite on board GSLV MK-II by March-end and the first developmental flight of GSLV MK-III in April.